We’re introduced to this car in Casino Royale. He also drives this car in Live and Let Die and Moonraker. Bond’s car was his only personal hobby. 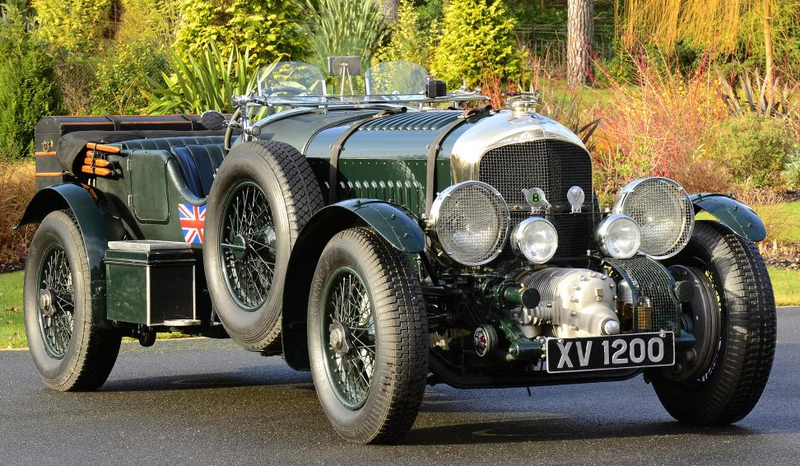 One of the last of the 4½-litre Bentleys with the supercharger by Amherst Villiers, he had bought it almost new in 1933 and had kept it in careful storage through the war. It was still serviced every year and, in London, a former Bentley mechanic, who worked in a garage near Bond’s Chelsea flat, tended it with jealous care. Bond drove it hard and well and with an almost sensual pleasure. It was a battleship-grey convertible coupé, and it was capable of touring at ninety with thirty miles an hour in reserve. The Grey Bentley convertible, the 1933 4 ½-litre with the Amherst-Villiers supercharger, had been brought round a few minutes earlier from the garage where he kept it and the engine had kicked directly he pressed the self-starter. 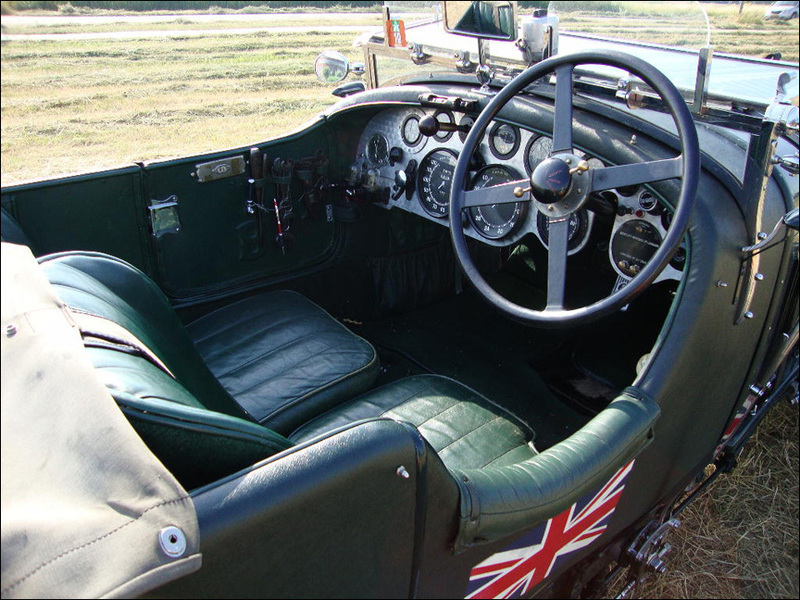 He had a small but comfortable flat off the King’s Road, an elderly Scottish housekeeper – a treasure called May – and a 1930 4½-litre Bentley coupé, supercharged, which he kept expertly tuned so that he could do a hundred when he wanted to. 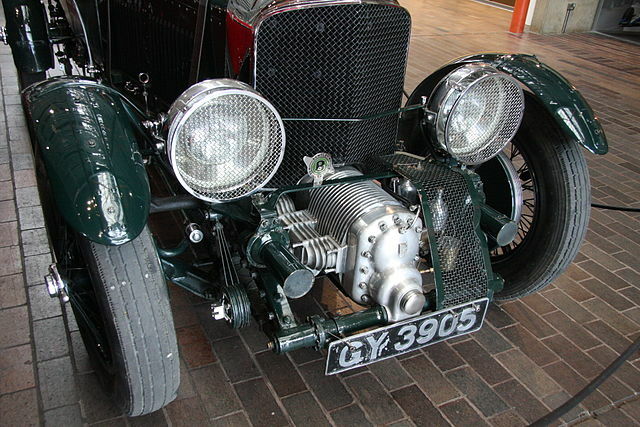 We’ll use the year on the last entry, as by 1933, the 4½-litre was no longer being made. In Casino Royale, it is merely stated that Bond bought the car in 1933, not that it was a 1933 model. This appears to be the 1930 coupe. I don’t think James Bond had the Union Jack on his car though. The grey device directly above the number plate is the Amherst-Villiers supercharger. Here’s another interesting look inside the cab. 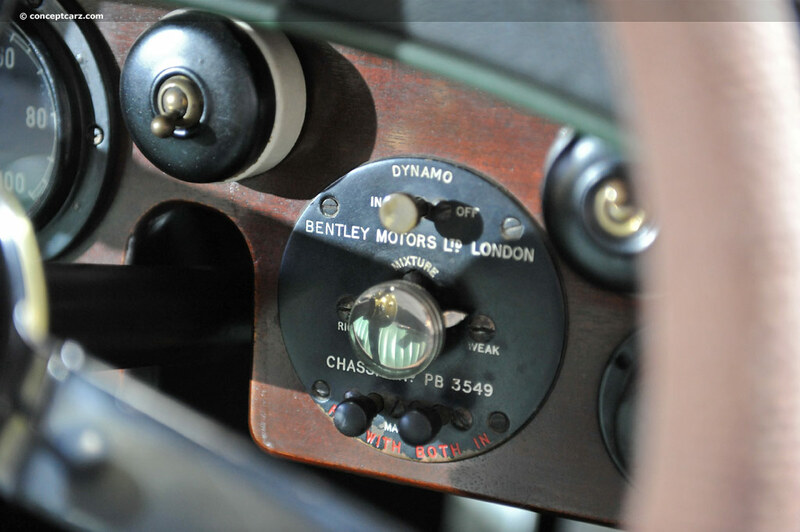 There is a website – Vintage Bentleys – which is dedicated to finding and tracking all of remaining cars of this type in the world. They’ve done a stunning job at cataloging the cars. For more information and photos on this model, check this page.